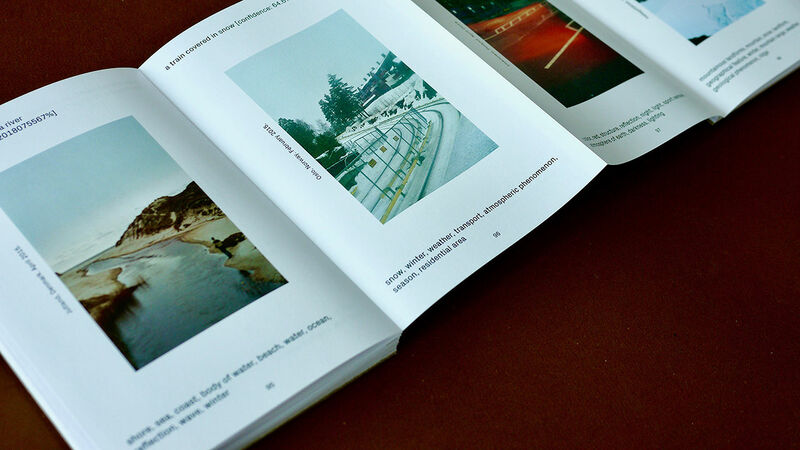 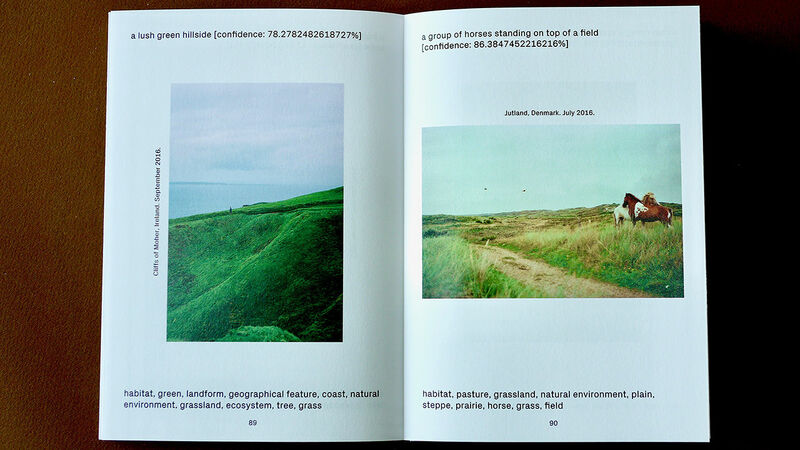 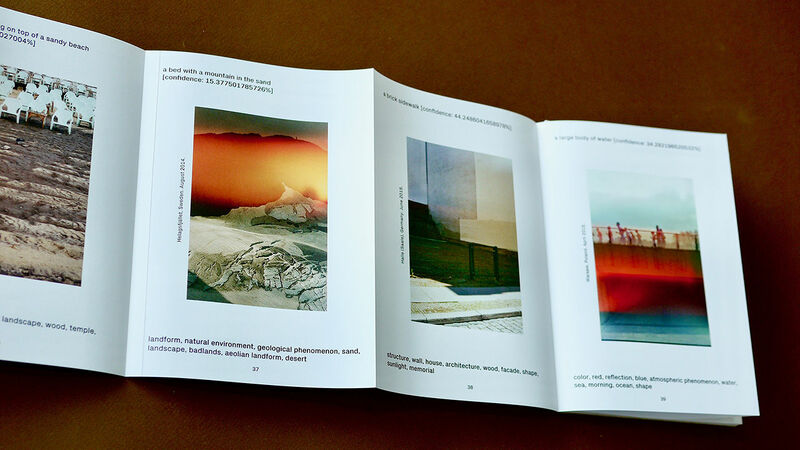 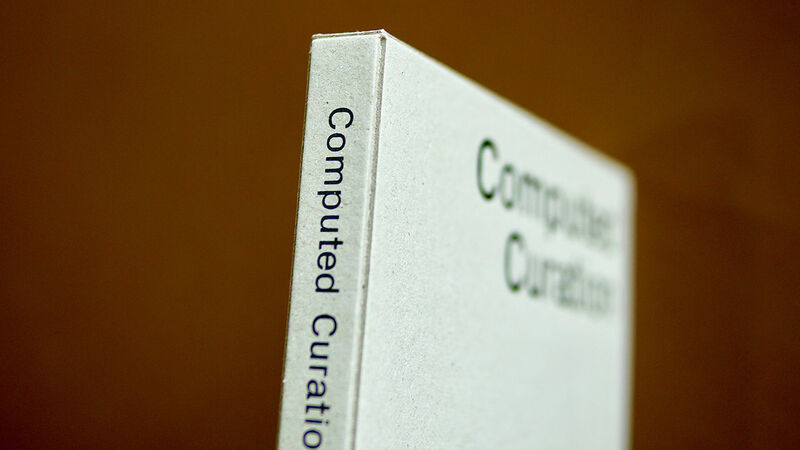 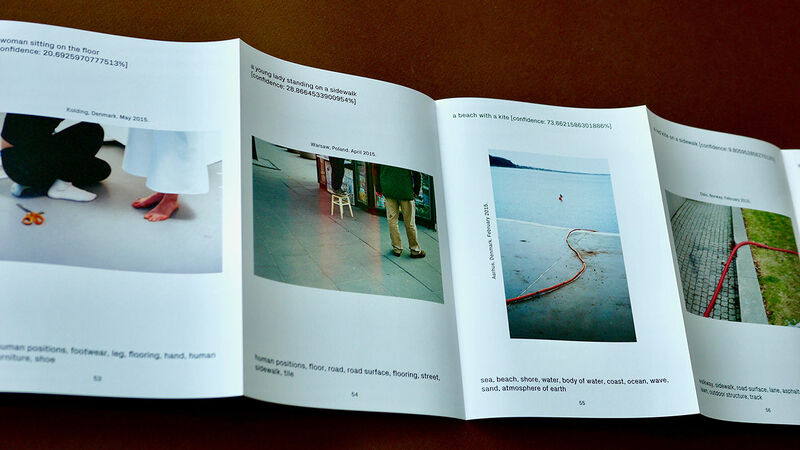 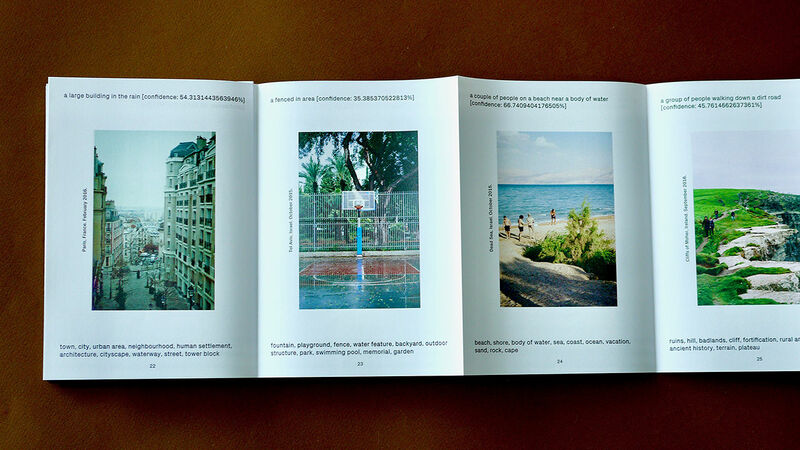 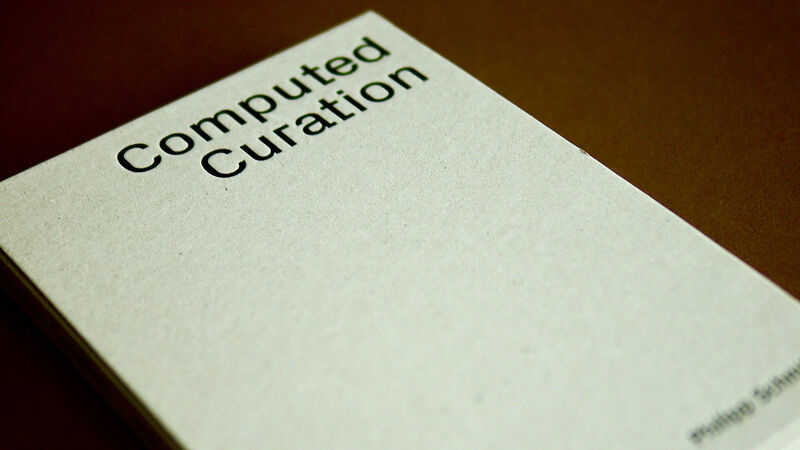 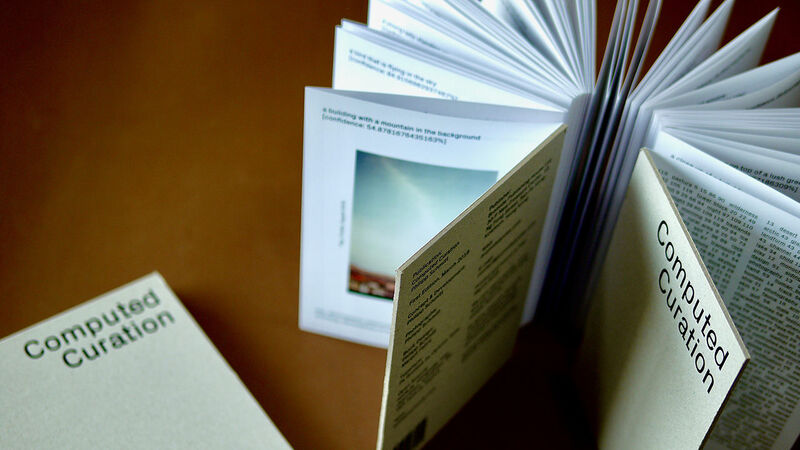 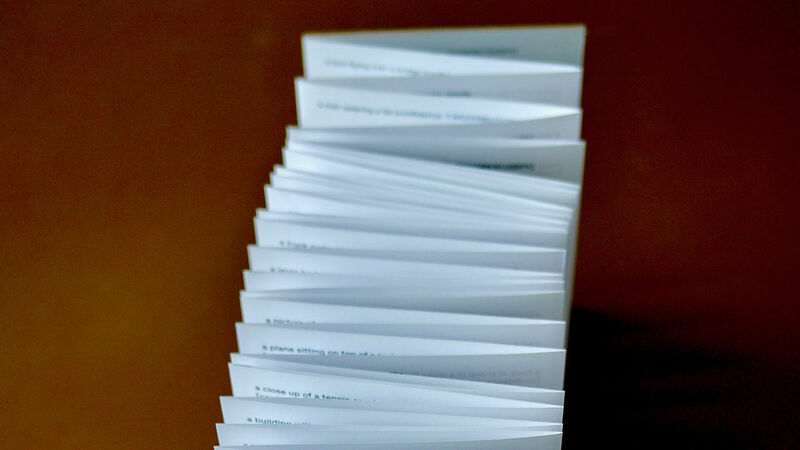 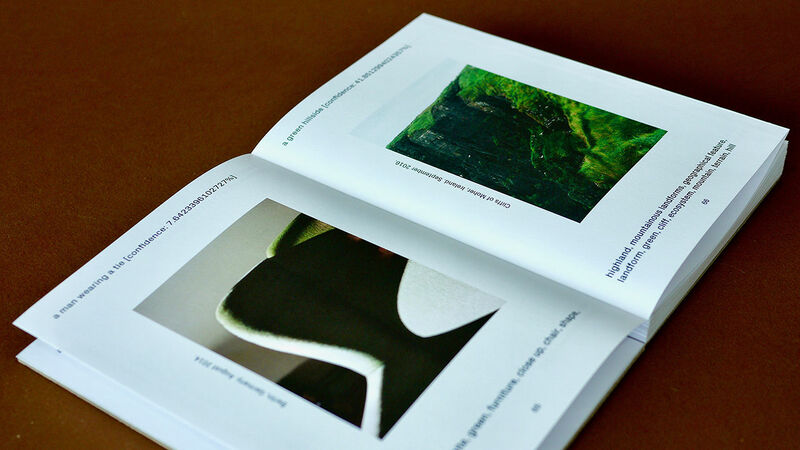 COMPUTED CURATION IS A PHOTOBOOK CREATED BY A COMPUTER. 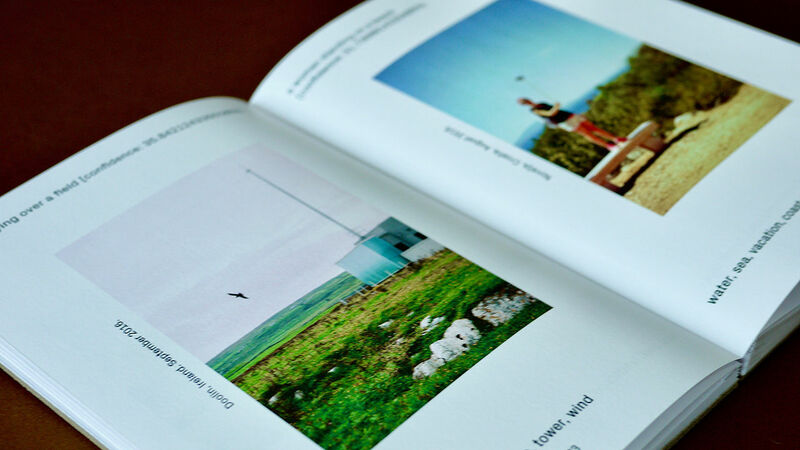 TAKING THE HUMAN EDITOR OUT OF THE LOOP, IT USES MACHINE LEARNING AND COMPUTER VISION TOOLS TO CURATE A SERIES OF PHOTOS FROM AN ARCHIVE OF PICTURES FROM 2013 TO 2017. 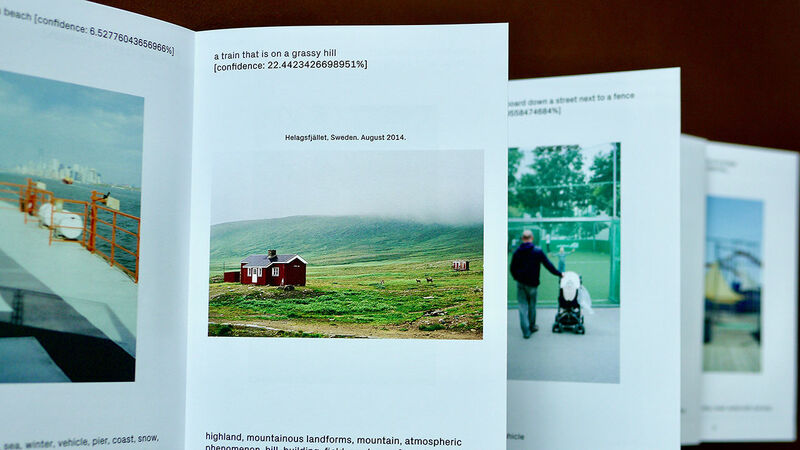 Considering both image content and composition — but through the sober eyes of neural networks, vectors and pixels — the algorithms uncover unexpected connections and interpretations that a human editor might have missed. 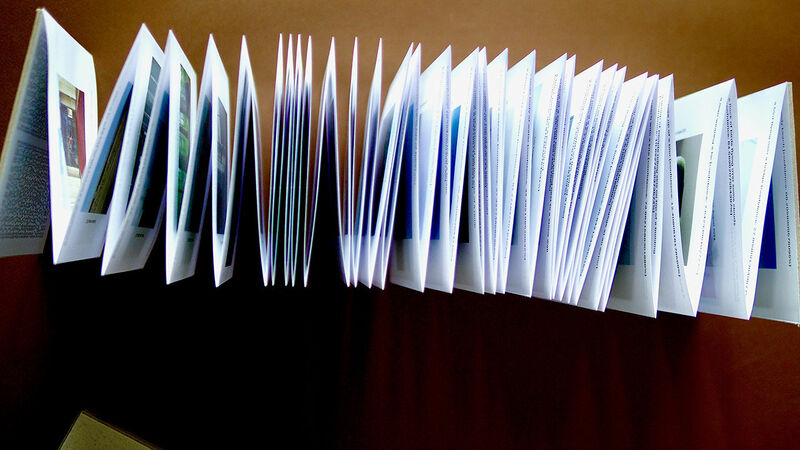 Machine learning based image recognition tools are already adept at recognizing training images (umbrella, dog on a beach, car), but quickly expose their flaws and biases when challenged with more complex input. 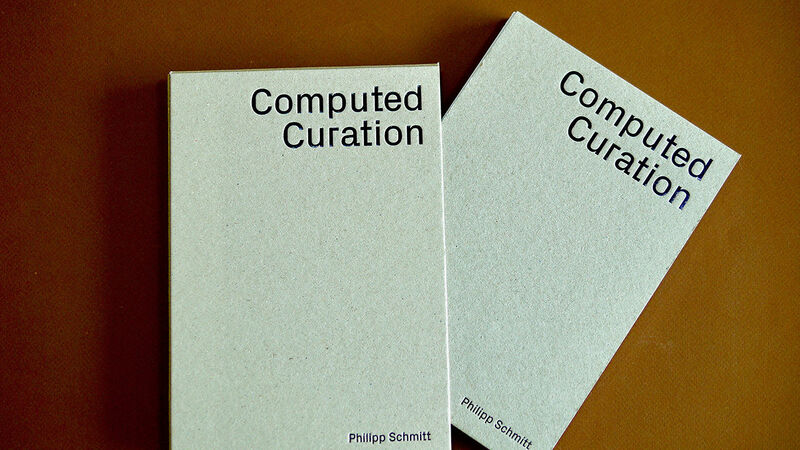 In Computed Curation, these flaws surface in often bizarre and sometimes poetic captions, tags and connections. 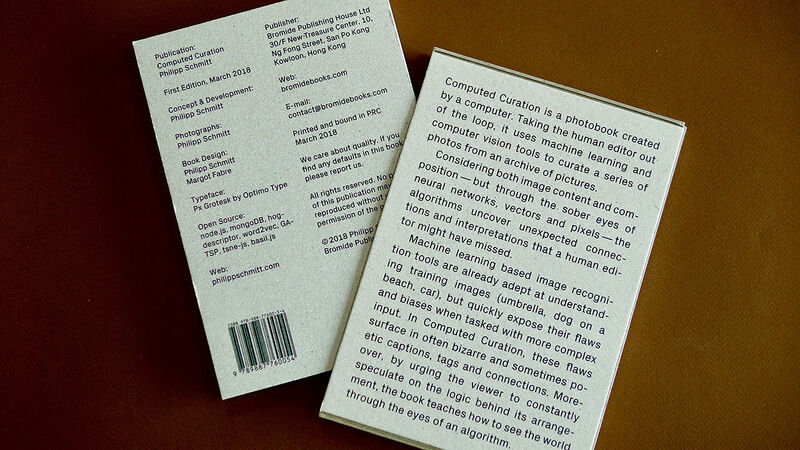 Moreover, by urging the viewer to constantly speculate on the logic behind its arrangement, the book teaches how to see the world through the eyes of an algorithm. 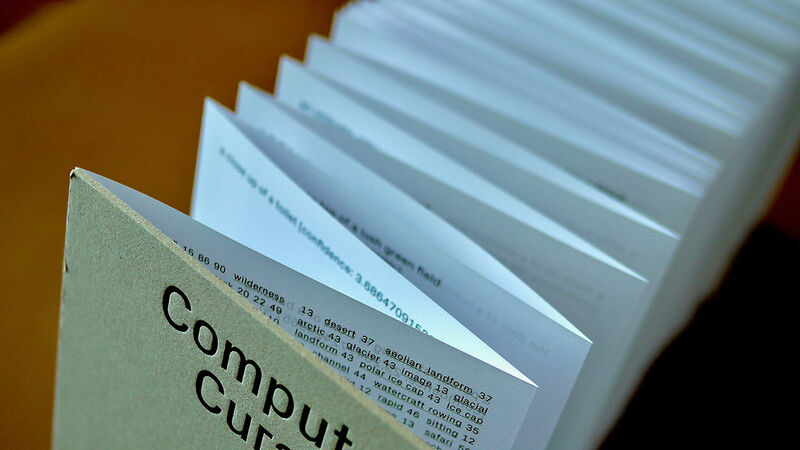 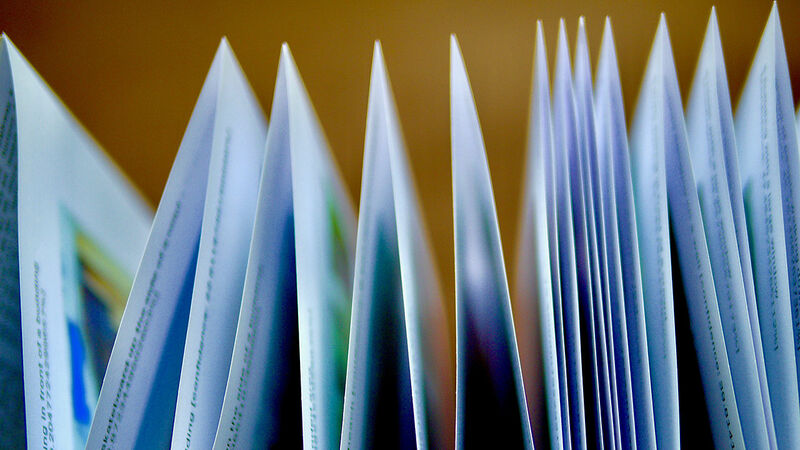 Content printing: Offset quadri, art definition screening.